Nestled in the High Cascades of Western Oregon, at an elevation of 3,200 feet above sea level, you will find the Fish Lake Guard Station. It lies 20 miles northeast of McKenzie Bridge within Linn County, near the junction of U.S. Highway 20, and Oregon State Highway 126. The Station is a Forest Service administrative building group constructed in the early 1900s, and was in regular use between then and the 1960s. During its formal life span, it served as a guard station, fire headquarters, and remount station. The site is bordered to the southwest by Fish Lake, and encompasses 16.81 acres of gently sloping, south-facing, high plateau terrain. It hosts 18 historic buildings, structures, and sites, as well as two non-historic buildings and other structures. 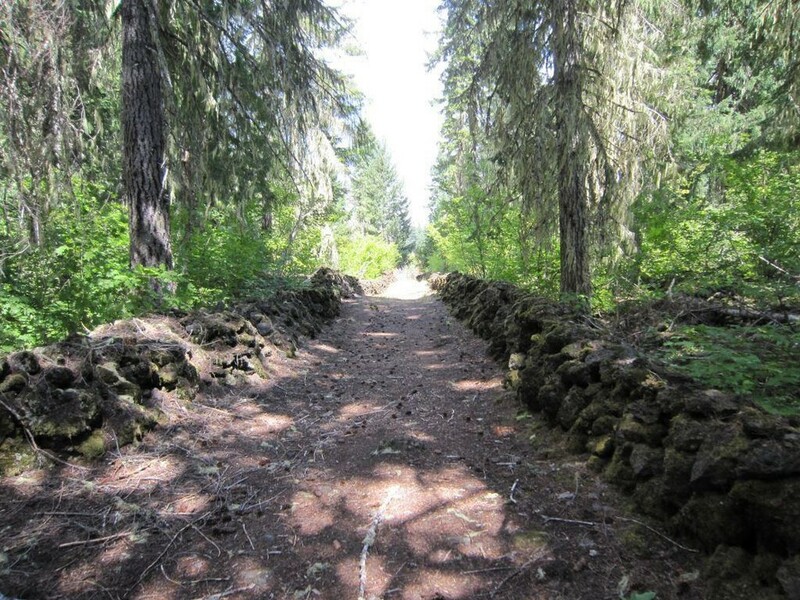 The Guard Station is listed on the National Register of Historic Places (NRHP), as is the Santiam Wagon Road, which cuts through the Guard Station complex. This section of road passing near Fish Lake contributed a significant role in the decision of where to construct the compound. This year’s PIT volunteers will receive some initial training and orientation to the Fish Lake compound, its history, and that of the local area. Then, we’ll turn you loose, and rely on your friendly faces and people-skills as you host the sessions. Volunteers will welcome visitors, provide information, and answer questions about the GS and its use over the past 100 plus years! Early sessions may provide you the opportunity to work on projects on site and/or help with structure or grounds maintenance with the on-site manager or with the group “Friends of Fish Lake.” During your hours “off the clock,” this is a fantastic place for walks, hikes, fishing, wildlife (and people) viewing, and much more! We will only take applications until all slots are filled, though, so apply today – we hope to see you for another great season at Fish Lake Guard Station!